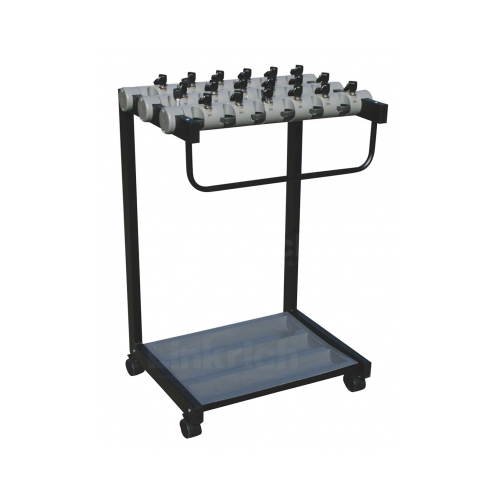 Lockable Umbrella Rack | Queue-Safe Shop : Creating a comfortable waiting environment for your customers with our umbrella bags, tape barriers, café barriers, umbrellas & awnings. 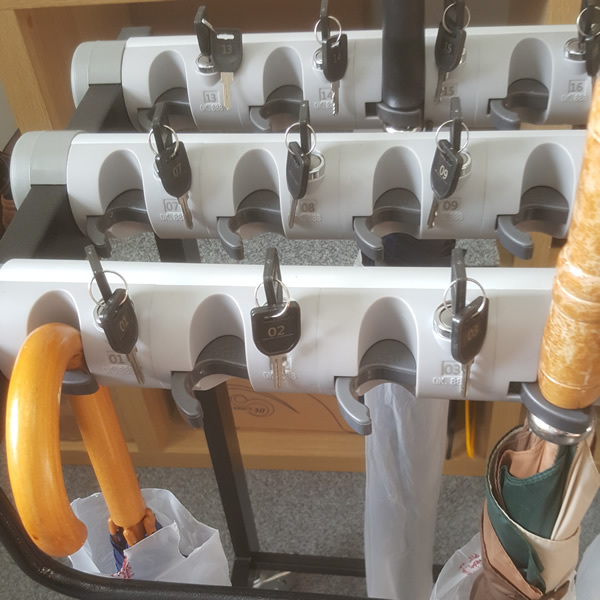 Lockable Umbrella Rack for 18 Umbrellas. A perfect partner for Umbrella Wrappers. 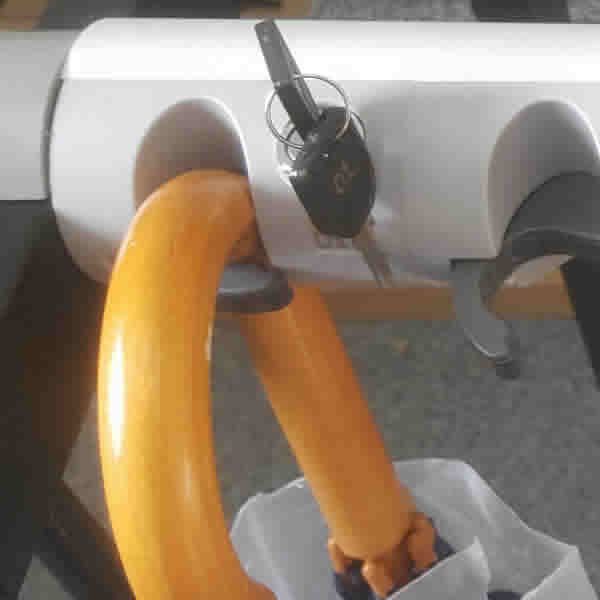 Visitors can securely store Umbrellas. 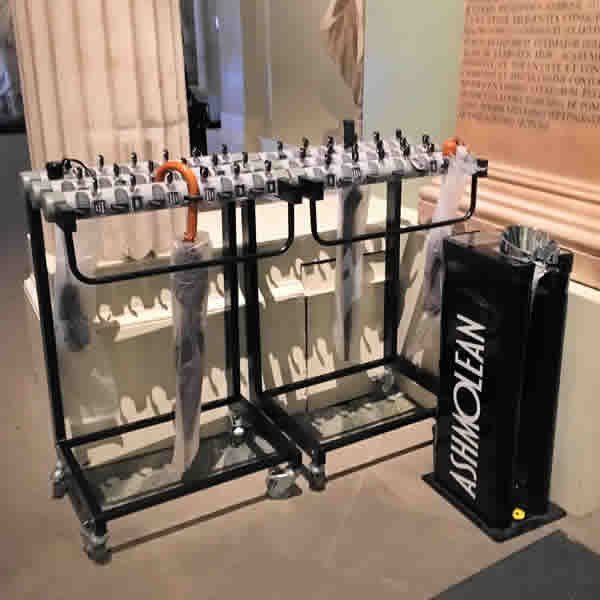 Ideal for Museums, Art Galleries, Historic Houses etc, where the protection of artifacts is paramount. Duplicate and replacement keys readily available.